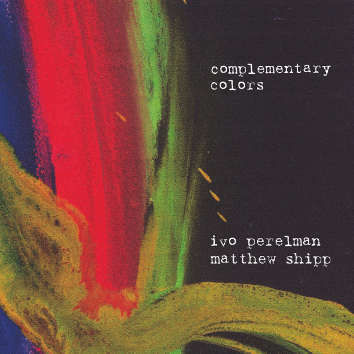 Ivo Perelman is a painter. On this disc, each track takes the name of a colour. Like some other great artists, such as Miles Davis, Joni Mitchell, Herb Alpert, Rosco Mitchell and Tony Bennett, Ivo hears his drawings and sees his music. According to Ivo, one plus one equals more than two. Red plus blue equals more than purple. Hearing and seeing give you an infinite spectrum of colours and sounds. Neil Tesser: "In this music, the colours wash and swing and swirl and vibrate, reaching a splendid resonance throughout the audiovisual spectrum."